← Print Layout Designer v2.0 Has Been Released! AthTek RegistryCleaner has been updated to v1.06, with many functions enhanced. As I have tell you in the previous post that AthTek RegistryCleaner v1.06 has enhanced the registry scanning and the compatibility with Chrome. After this update, this regedit cleaner should be the best registry cleanup tool for Windows users. Maybe you don’t know that over 93% of personal computers have hidden corrupt dangerous files with over 100+ hidden errors and bugs on them. Over time your Windows registry becomes saturated with redundant files and broken links that cause errors and even system crashes. Using our regedit cleaner and registry repair software will get rid of all those unnecessary files that swamp your PC and end up wreaking havoc. Running our regedit cleaner and registry repair software on a regular basis will boost your system performance, remove hidden errors and bugs, and prevent system crashes. 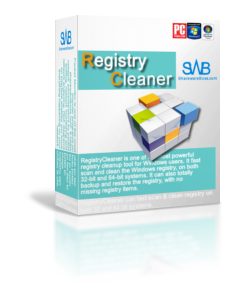 What is the Windows registry and why do you need a regedit cleaner to keep it error free? Every Microsoft Windows operating system has a registry. Your Windows registry is one of the most vital and important components on your PC, it holds a wealth of information about your computer setup and configuration. When you delete a file or uninstall a program, the registry keeps a reference of that deleted file and does not remove it, thus, an invalid data or error stays in the registry, as the registry gets filled with these invalid data and errors, your computer system will become sluggish and can cause severe system complications resulting in system crash, hang and malfunction. Download our regedit cleaner and SCAN YOUR PC FOR FREE, find out if your PC is corrupted with errors and bugs before it is too late.